Kale chips have to be one of my favourite snacks. The salty crunch makes them irrisistable, and they get eaten faster than you could ever imagine. It is a good thing they are so easy to make. And seeing as they are so addictive to eat, it is a good thing that they pack a real nutritional punch. Kale is packed with anti-inflammatory and anti-oxidant properties. It’s high in fibre, iron, Vitamins K and D and it’s also a good source of calcium. To add to this already impressive list, it’s also high in folic acid and Vitamin B6. 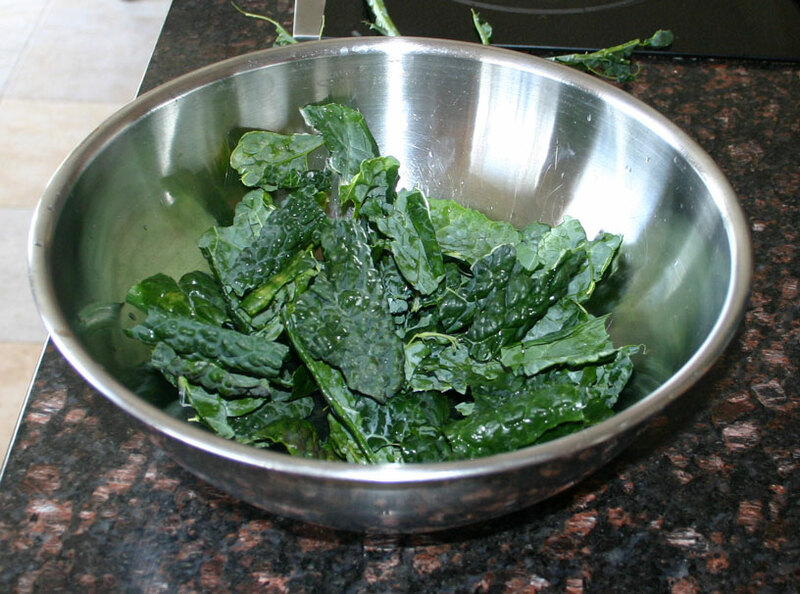 The secret to crispy, crunchy kale chips is to cook them at a low temperature and to make sure that the kale is perfectly dry. I am particularly fond of making these with Lacinato Kale, but you can use any type that is available. The first thing you need to do is to wash the kale. Then drain it, and spin it in a salad spinner until it is perfectly dry. If you do not have a salad spinner, you could try a tip that I learned from my grandma – place the kale in a tea-towel, gather up the corners and whirl the tea-towel containing the kale around your head… just don’t break anything! 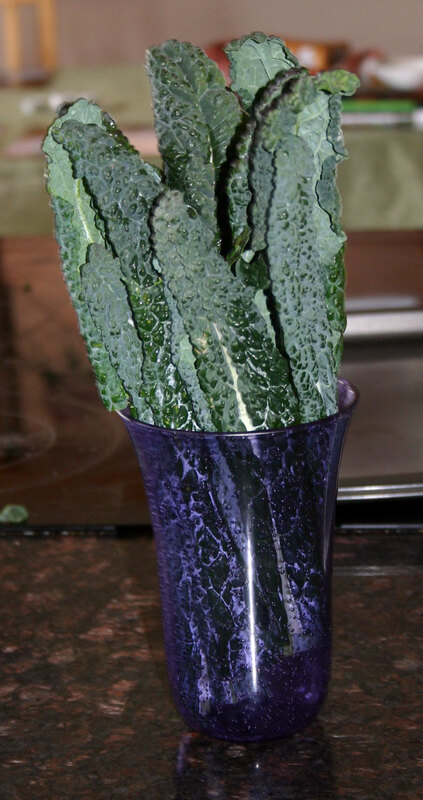 Remove the stems from the kale, and tear the leaves into 1-2″ pieces. Drizzle over the melted coconut oil and toss the kale well until every piece is coated. Spread the kale out in a single layer on baking sheets – the exact number you need will depend on how large your baking sheets are and how big the bunch of kale you started with was. Try not to have any pieces overlapping as this will prevent them from crisping up. Sprinkle over the sea salt, trying to get it as evenly distributed as possible. Ideally, you want every single piece to have a little sprinkle of salt. Bake the kale in the oven for 30-45 minutes, rotating the trays half way through if necessary. The exact time that the kale will take to dry out and become crispy will depend on how thick the leaves are. Thicker leaves take longer, but tend to make a more robust chip. You can serve them just as they are, or with a dip. They are particularly good with a herbed coconut yoghurt dip. These products are those that I can recommend. I purchase these from Amazon myself. They are good quality, and the price is good. 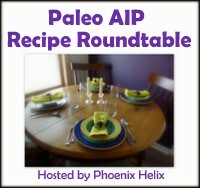 This entry was posted in Autoimmune Protocol Foods, Recipes and tagged AIP, Autoimmune Protocol, kale, paleo, snack, vegan. Bookmark the permalink. I need to try these with my family. It would be a major breakthrough if the boys would start eating kale as a snack. 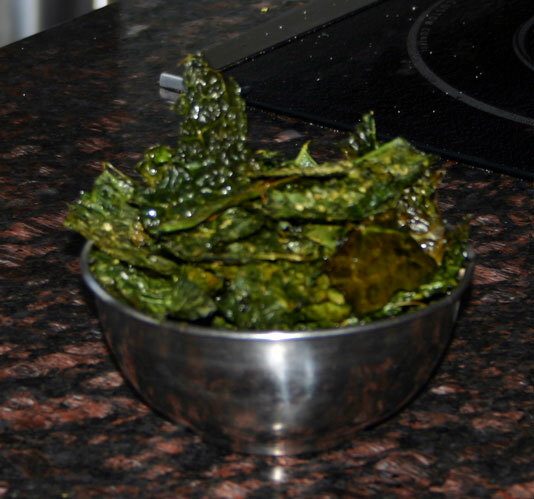 Kale chips looks delicious, thanks for sharing with Hearth and soul blog hop, pinning.